Transforming a garden from a dark, unused space to a relaxing and beautiful haven. The brief for this project was to transform the garden from a dark, unused space to a relaxing and beautiful haven. Thanks to the garden Landscapers, Forever Green and designer Rhoda Maw Garden Design for sharing the results of this garden transformation. The new fences provide screening along the boundaries. Jacksons Canterbury – Combi fence panels answered the clients brief perfectly, adding a contemporary feel to the garden. The Canterbury Combi fence panel and gate is a hybrid of two popular Jacksons’ products: horizontal tongue and groove effect and the ever-popular Venetian. The lower three quarters of the Canterbury Combi panel is made up of the premium Tongue and Groove boards with an integral Venetian top making up the final quarter. Even though the new fences are higher they don’t feel as enclosed as the lower, darker original fences. A new access gate was also added. 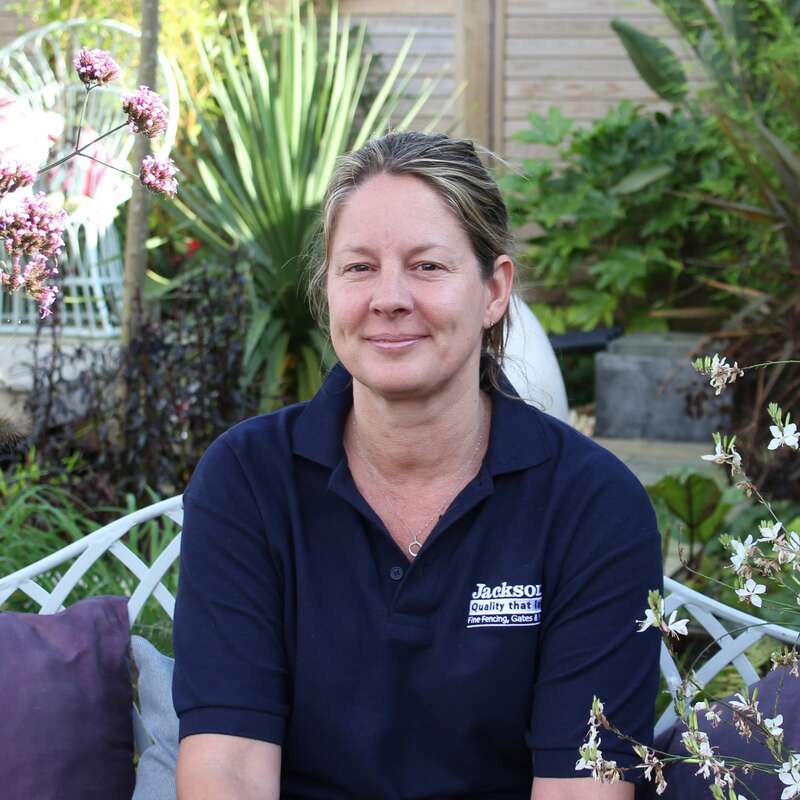 Rhoda Maw Garden Design created an uncluttered and contemporary feel; with Jacksons fencing, together with sawn granite paving and planting adding colour and interest all year round. The client loves the new space and is looking forward to using it as another room, whereas previously she hardly used her garden. See more of the project images by visiting our gallery.